“The Voice”‘s Judith Hill Signs With Sony Music: Touring With Josh Groban! 02 Oct “The Voice”‘s Judith Hill Signs With Sony Music: Touring With Josh Groban! 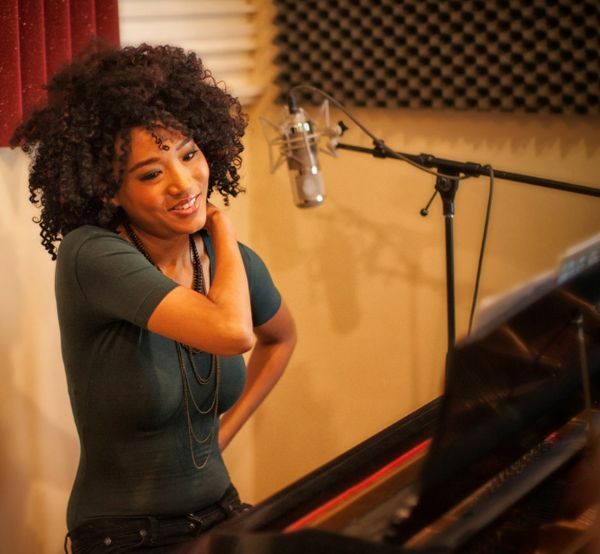 Judith Hill, who has appeared on “The Voice” and The Michael Jackson film “This Is It” has signed a record deal and is about to go out on tour with Josh Groban. Groban’s “In The Round” Tour starts tonight at the Taco Bell (sic) Center in Boise, ID. Not only will Judith open for him, she will be performing 2 songs in his set with Josh; “The Prayer” and “Remember When It Rains.” Judith actually sings backing vocals on 3 of Groban’s most recent album “All That Echoes” and Judith will also go on her own headline tour this fall. Hill’s debut record will be available in early 2014. For the Groban/Hill concert dates, click here. P.S. No L.A. Dates! Diagnosis: Yet another concert skipping over Los Angeles. This tour would actually go over well with an L.A. crowd too. Oh well…. So very HAPPIE! to hear about this I was rooting her on during the time she was on “The Voice” she is Prime and ready for this moment it is her time 2 SHINE. YES! I wish this tour was coming to a city near by but OH WELL in 2014 Ms. Hill is going to be the Talk of the Town and I am can’t wait till then she is gonna BLOW UP in 2014 and go on tour on her own and I can’t wait to see her.